October 14, 2014 – Cochran Avenue Baptist Church -Celebrating 90 Years of God's Faithfulness and Love! 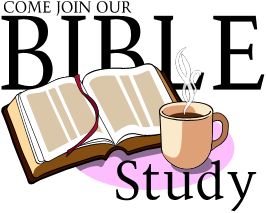 Do Not Miss Bible Study Tonight at 7:00 P.M. – Dial…. We Can Be Assured That God Always Keeps His Promises! – The Making The Kingdom Proud Prayer Line! Our ASSURANCE is in God. Be Confident, Convinced, Certain and ASSURED that He will fulfill His Promises! He will fulfill His Promises for your Best Blessing. You must participate in the Promises of God with your Faith, your Confidence and your Faith. Believe God will do what He said He would do. ” Thank You Father God that You are God and God All By Yourself! Thank You Father God for LOVING Me so much that you sent your Son Jesus to die for my sins. Thank You Father God that I can be ASSURED of You keeping All of Your PROMISES! Thank You Father God that I Am COVERED by the Blood of Jesus! My FAITH is in The Blood of Jesus! Thank You Father God for The Holy Spirit leading and guiding me always as I give Him CONTROL over my life! Thank You Father God for the privilege of KNOWING You and that I can always FAITHFULLY Believe in You! Thank You Father God that me and my Family are Prayerfully, Peacefully, Powerfully, Productively and Divinely MOVING FORWARD under Your Control and Power to the Blessing, Abundance and Victory You have already planned for us! I know I am never alone and can Always talk to You! With My Whole Heart, I give You GLORY and Honor! Thank You Father God that No weapon formed against Me shall prosper AND ALL things Are working together for MY Good! Your PRAISE Shall Continually Be in My Mouth! Thank You Father God for ALL of My Blessings! In Jesus Name – Amen! 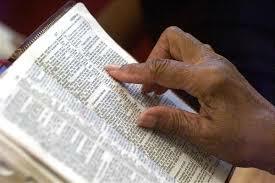 It Is The 279th Day of the 3rd Year of The Making The Kingdom Proud Prayer Line! Get Up Thanking God For His Grace This Terrific Tuesday and Join Us on the Making the Kingdom Proud Prayer Line! It Is The 279th Day Of The 3rd Year!